Sheds and garages have many uses for any home, including storage space and the housing of vehicles. However, something about sheds that is often taken for granted is the type of door that is used. The door you use is very important, especially for garages, because it is the only thing standing between your possessions and potential thieves and ruffians, but there are other practical reasons for choosing the best possible door as well. Not only are automobiles kept inside home garages, but many different stored items as well, including gardening machinery such as lawnmowers. Therefore, it is important for you to keep these things safe from intruders who may target your garage or adjacent storage shed because it is more vulnerable than the main home. Designing the door of your shed with security in mind is vital then. Using sturdy materials is recommended, but extra measures should also be taken, including the usage of deadbolts or padlocks. 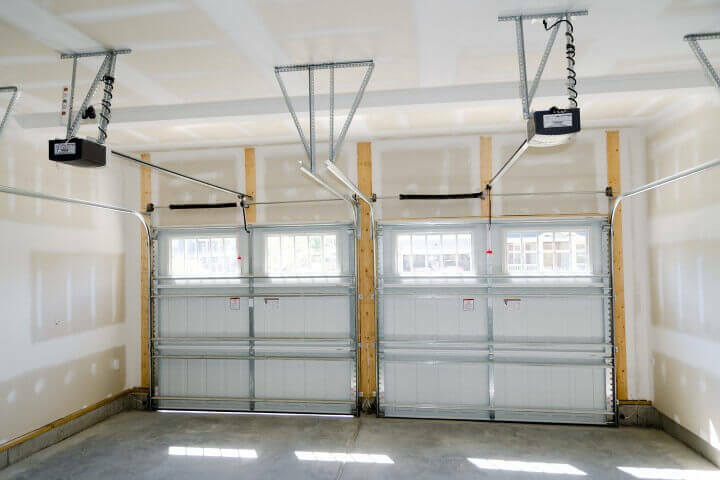 There are other features that can be included as well—anything that you feel is essential to keeping your garage more secure. The good news is that we at Actions Sheds Australia can customise your shed or garage through our optional extras. You can choose from our motorised roller doors, sliding doors and other types. Security isn’t the only thing to consider when designing the door for your garage or shed. You also want to make sure that it functions practically for you. Making sure that the door is easy to open is a major advantage to include and can be achieved with doors that are designed with either a single pulling sheet or are spring loaded. Some heavy garage doors come with or can be fitted with mechanical assistance so that you can open the door with just the push of a button. Rolling doors are also a great option for larger shed units. When designing the perfect shed or garage for your home, it is important also to design the perfect door. No matter what kind of unit you own, security is important for keeping your valuables in storage safe. Being able to easily access the shed is also something to consider when designing the door, so that you won’t have a hard time getting in and out of it. To learn more about designing doors for the storage sheds in your Perth home, please call 1300 778 628.